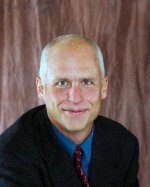 Dr. Daniel J. Burbach, Ph.D.
Dr. Burbach has practiced in the Manitowoc area since March of 1990. He was previously an assistant professor in the Department of Psychiatry at the Duke University Medical Center. He completed his B.S. in Psychology (Honors Program) at the University of Illinois Urbana/Champaign. He obtained his M .A. and Ph.D. in clinical psychology at the University of Missouri-Columbia and completed his internship at the Duke University Medical Center. Over the course of his training, he also completed a research fellowship through the Laboratory of Biological Psychiatry at the Illinois State Psychiatric Institute/University of Chicago Pritzker School of Medicine and fellowships in clinical child/pediatric psychology and clinical neuropsychology through the University of Missouri School of Medicine. Dr. Burbach is board certified in clinical psychology through the American Board of Professional Psychology and a Fellow of the American Academy of Clinical Psychology - one of only a few clinical psychologists in Wisconsin to earn those honors. He is also certified by the National Register of Health Service Providers in Psychology and the Association of State and Provincial Psychology Boards. He also maintains membership in numerous divisions of the American Psychological Association and as a member of the Wisconsin Psychological Association, he was elected for a term to their Board of Directors. Dr. Burbach has published numerous scientific articles and book chapters and has authored ongoing newspaper and newsletter columns in his areas of expertise. He has also presented to professional and lay audiences at the local, state, and national level. As a former editorial consultant to a variety of psychological and psychiatric journals and after having been interviewed on many occasions for print and electronic media, he created and hosted his own weekly radio show, "Lakeshore Family", for the area's CBS affiliate, WOMT 1240 AM. in 2005. He is now considering other options in the media.. Although he specializes in child and family issues, clinical neuropsychology, and forensic consultation, he also maintains a general practice with patients of all ages. "Committed to the highest standards of patient care and professional integrity"
© Lakeview Psychological Associates, S.C.